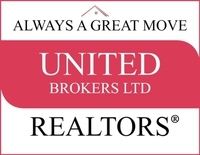 We are experienced agents working together to provide a superior level of professional services to both buyers and sellers.Working together as a team we are confident that our customers will be completely satisfied. So confident that the results are guaranteed! Of course, we want to work for you. Whether your buying or selling you'll be hiring us to perform an important service. To make sure that you get the desired results we'll not only be working for you, but we'll be working with you. Listening is one of the keys to providing superior service. Sharing our knowledge and experience is one of the keys to helping you make informed decisions. Listening and sharing information, that's communicating, and that's the key to working together, the key to achieving our mutual goal. Results!